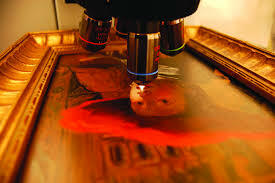 • Examine and report on transfer of paint and other materials. • Examine where a weapon has been used in murder or assault cases. • Arrange chemical analysis and compare this to the control paint sample from the incident.